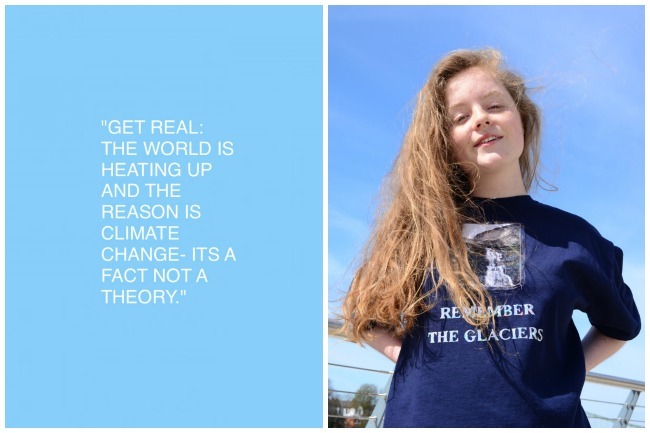 Elizabeth Farrell is a teenager trying to raise awareness of climate changespecifically, how it affects glacial iceby creating hip, icy blue or sunset-washed portraits of herself, under the moniker of Glacier Girl, and other young women. 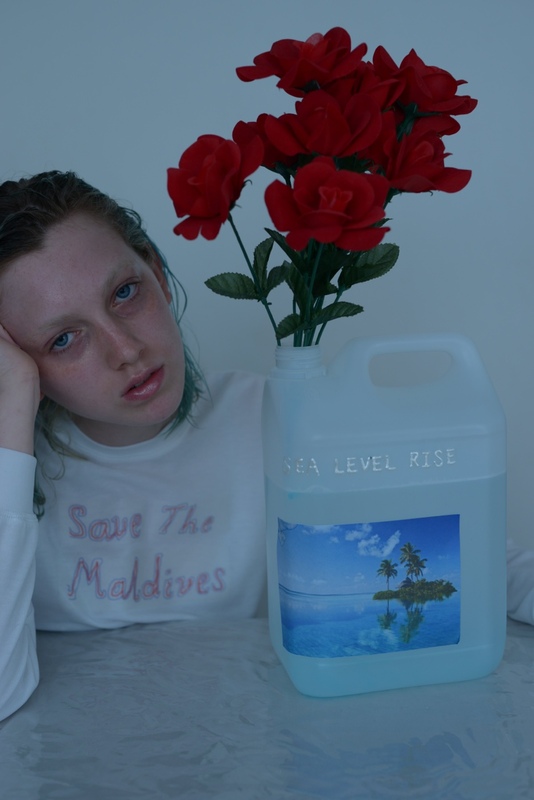 Although some refer to Internet activism as “slacktivism,” Farrell, who is based in London, UK, is confident that social media is the only way to reach her generation. 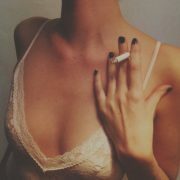 While she predominantly deals in visual imagery, e.g. photos of a lone red rose by a small spill or large body of water, Farrell wants her work to be regarded not as art, but as an incendiary for discussion. Lola Who: Tell us about yourself. Who are you, and what do you do? Elizabeth: Hi, Im Glacier Girl, a 19-year-old visual environmental activist. 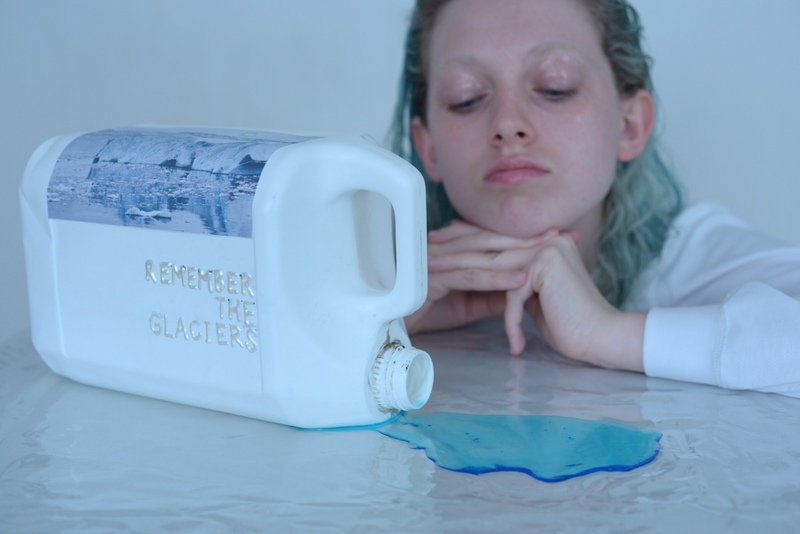 My project, Remember the Glaciers, aims to raise awareness about climate change, taking away the stigma of the term eco-friendly in a way that we can relate to as young people. 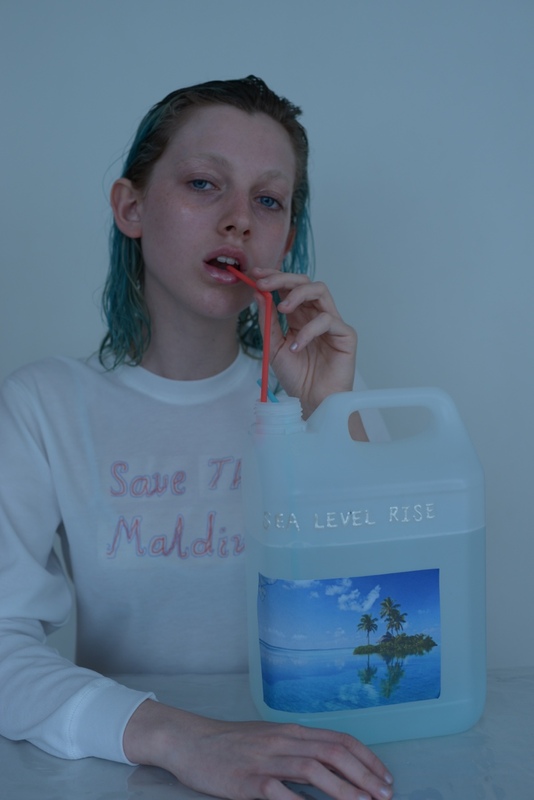 Lola Who: Besides raising awareness, what concrete goals are you trying to reach through Remember the Glaciers? Lola Who: Who are your biggest influences in the environmental sciences and/or activism? Elizabeth: Naomi Klein, James Balog, and Jeffrey Kiehl. 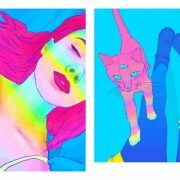 Lola Who: Your Glacier Girl images have a nerdy-cool, retro look to them. 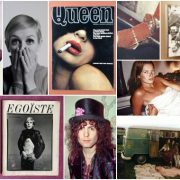 Who is your biggest style icon? Elizabeth: Theres not consciously a who, just a variety of inspiration from friends, films, the environment, and social media newsfeeds. Recently, through Vivienne Westwoods spring/summer 2016 show, Mirror the World, she explains that we are all microcosms of the planet, each of us a shard of glass reflecting nature. Rather than fighting nature, we need to learn to live alongside it. I guess thats as green as it gets for an Apple product, but, as you say, it doesnt make it 100% eco-friendly. That doesnt mean I have an excuse, of course, but using an iPhone as a tool to raise awareness could eventually trump the corporation itself  if that makes sense. I am working on living a sustainable lifestyle, small steps at a time. Although I believe that individual action is important, whats really going to make the difference is all of us coming together and speaking out about the climate and showing our leaders that we want change. Lola Who: Why do you use the Shell logo in your images instead of tackling ExxonMobil, which is larger, or BP (formerly British Petroleum), which has received the most recent media attention for a large-scale spill? Lola Who: For the record, I believe climate change is happening, because thats the consensus among scientists in the relevant fields. But what would you say to someone who believes that climate change is a hoax or isnt human-caused? Elizabeth: Denial isnt getting you anywhere. Get real; when you go to the doctors with cold and flu symptoms and you are diagnosed with the flu, do you call you them liars? 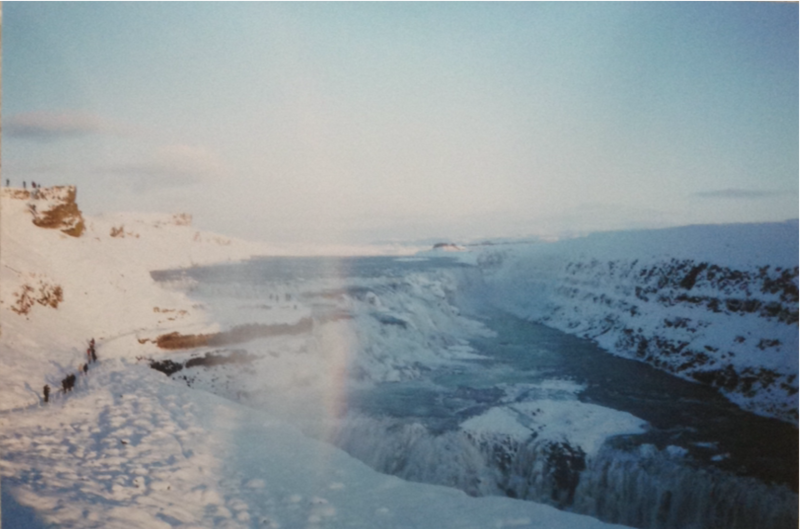 Lola Who: Youre currently working on the project on a scholarship from the Royal Geographical Society. How did that come about, and what are some of your post-scholarship plans? Elizabeth: Well, I have just started university and am studying geography and environmental studies. Lola Who: What do you see yourself doing, 10 years from now? Elizabeth: Eventually I want to be a glaciologist. Lola Who: What do you hope to inspire other young people to do in the immediate future? Elizabeth: Speak out, raise awareness, act now!